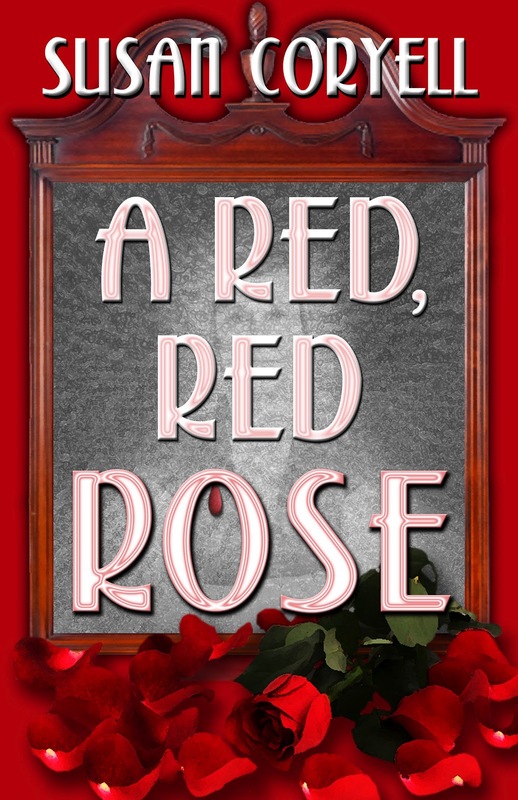 Meet authors Emily Ayala and Allison Hockett from 10 a.m. to noon, Saturday, March 31, at 6 North Cafe. THE ST. LOUIS WEDDING BOOK: Two Sisters' Guide to Your Ultimate Wedding includes 13 chapters of comprehensive lists of their favorite choices to make planning your St. Louis wedding a breeze. "Through research and referrals, we've put together a grab-n-go book for all of our favorite (and not necessarily the most expensive) wedding choices in town. This is the first resource NOT powered by advertising. It's a friend-to-friend referral guide researched and collected into a handy resource for you." Emily Ayala and Allison Hockett were raised right here in St. Louis where they attended Lindbergh High School. 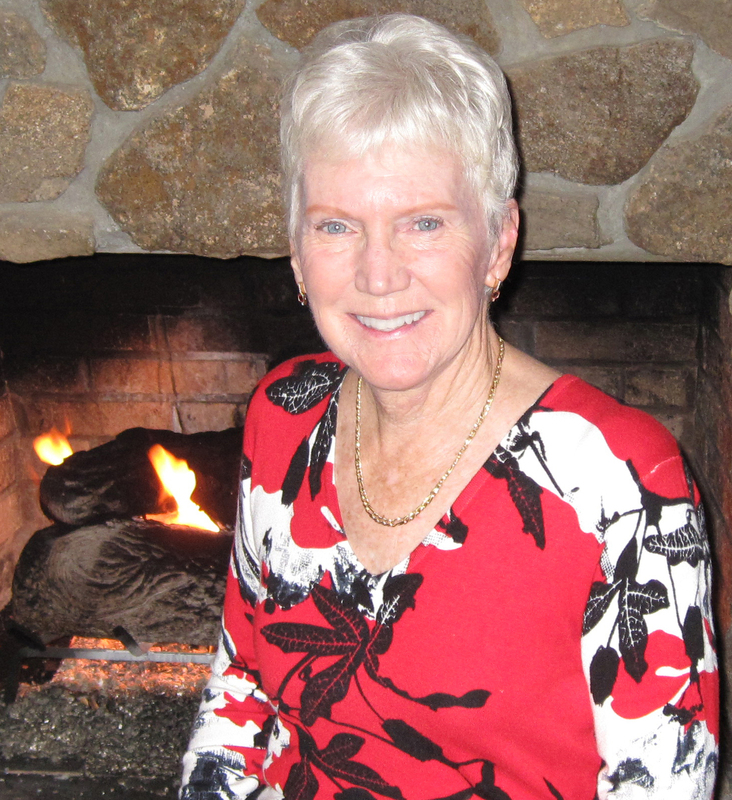 After high school, Allison enrolled in Truman State University, graduating with a B.A. in psychology, where she met her husband, Brian. Emily attended Missouri State University, graduating with a B.S. in finance, where she met her husband, Paulo. Allison resides in Eureka with her husband and three children. 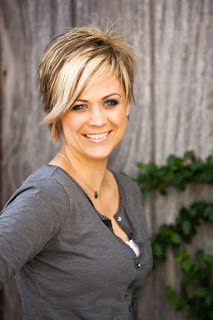 Emily resides in O'Fallon, Missouri, with her husband and little boy. Books will be available for purchase at 6 North Café on March 31. Finding one’s voice is the toughest thing a writer has to do, but it's the most important thing a writer needs to master in order to become published. So what is voice? It’s almost easier to talk about what voice isn’t than what it is. It isn’t your character’s voice, it isn’t beautiful prose, or just writing stuff down. Voice is about style, your style, and when it’s done right, people can read any page you’ve ever written and recognize your voice. So how do I know about voice? Lots of hard work. In 2011, I headed off to the Writer’s Digest Conference in New York with a good book, compelling story, great characters, and it was even on trend. My pitches went great, but all the agents had one main criticism – my voice. One agent told me I needed to work on my middle grade voice and another agent described me as “Thick.” I wasn’t even certain what that meant. Not enough white space on the page? Was my diction wrong? Did I info-dump too much? But it wasn’t any of those things. The problem was my voice. I sounded like a professor, not quite as bad as Ben Stein in Ferris Bueller, but it was overly wordy and lacked that edge-of-your-seat tension. I worked hard to improve my voice, but I have to admit I had no idea how to start. 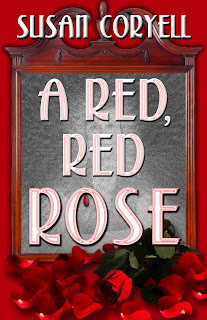 Voice was something I had never had issue with until I started writing novels, so I went back to my roots, where I began as a writer – the theater. One thing I love about writing plays is that voice is already built in. There is a syncopated rhythm to the theater, to the dialogue, that lends itself very well to voice. A great play doesn’t drag. It creates a rhythm that takes the audience on a rollercoaster of emotions, from the heights of comedy to the depths of tragedy. So I learned to find that rhythm in my writing. It took a couple of scripts, some short stories, and maybe one or two blog posts, but I rediscovered my voice. I even rewrote that novel, now it’s a young adult instead of a middle grade, but that’s where my voice was most comfortable. Writing for kids takes a unique voice. So what did discover about voice? To sum up, it’s a mix of your character’s voice and your own. But there is so much more. The Right Genre – Trying to smash some mystery into an urban fantasy paranormal romance, maybe you should just focus on writing mysteries. The Right Tense – Not certain if present or past is best – try them both! The Right POV – If third person doesn’t feel right? Maybe attempt the same story in first person. Exploring different tenses and points of view allows a writer to discover what suits their voice best. The Right Attitude – Make certain the tone fits with the character’s mood and that tone of the writing matches the scene. Think of music in a movie, how it helps to mold the emotion of the scene, the attitude in writer’s voice can do the same thing. Here are a few more suggestions to help find your writing voice. Write to connect with the reader – Most readers like voice, they might say it’s the way they write, but they mean voice. Develop your style – it won’t happen overnight, but the more you write, the more you will define and explore your voice. Don’t copy someone else’s voice – emulating is a good technique to explore – but every writer needs to find their own voice. Read aloud – Can you hear the rhythm? Do the words flow together? If so, then you may have found your voice! All the great writers found their voice and it’s what propelled them to super fame, none more so than William Shakespeare. So which author has your favorite voice – let me know in the comments. The winner of a free signed copy of Ring of Fire by Heather Huffman is Readmore! Congratulations! We will be sending you your book soon. Thanks to everyone for entering and please keep the comments coming. Finally, a locally produced GUIDEBOOK TO ST. LOUIS! 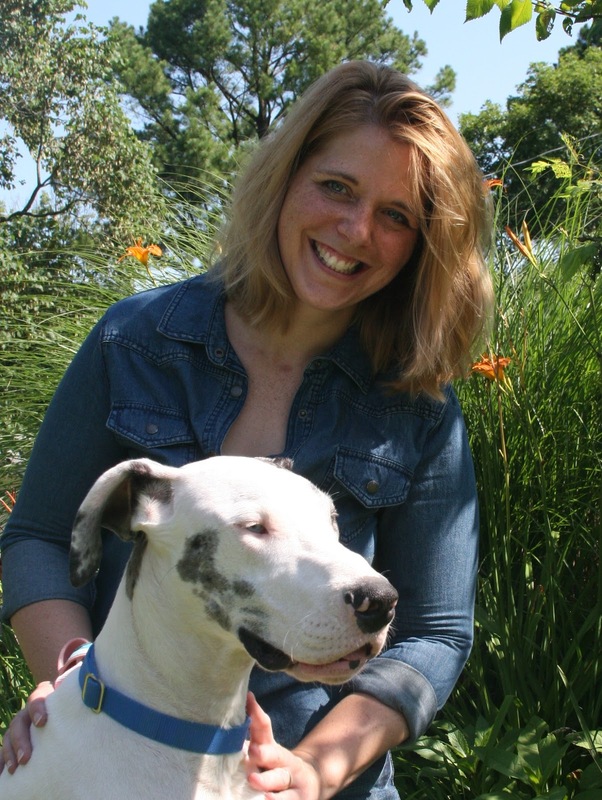 Amanda is an ardent St. Louis supporter and resident with more than a decade of experience in promoting the city to visitors. She lives with her family in Tower Grove Heights, and regularly plots her alternate lives in cool neighborhoods around the area. "This book is a love letter to St. Louis, one I’ve been working on now for more than a decade." You'll find a unique take on the elements that make many of the pockets of this metropolitan area such an appealing one in which to live. Neighborhoods and municipalities are grouped in ways that may be a bit different than you're used to seeing, in the hope of reflecting how we actually talk about them. Have fun, and viva St. Louis! Books will be available for purchase at 6 North on March 24th. The slap-squish click-ity click of brick smashed into mortar and moved against the others to fit it in place was followed by the scraping of the trowel removing the access. The scraping of the goo back on top of the next brick in the wall was accompanied by the clinking of chains and the stifled moans of a helpless man, his mouth duct tapped and his eyes wide as the last smells of the world he would know was the smell of the basement as I slowly walled him up. "Oh, hello! Please ignore the redecorating I am doing to my little corner of The Writers' Lens. " "Who is this man?" Your voice trembles. "Nothing to worry about. He's my inner critic, just suffering from a bout of . . . talking too much while I write." Please do ignore the mess I am making as I prepare to launch a new series of blogs about a man, who has rightly been crowned the Master of Suspense, Alfred Hitchcock and what it means to be Hitchcockian. His name is synonymous with thrillers and mystery--and macabre humor (like the above ala Hitchcock Presents). His films spanned horror, suspense, romance and comedy, while he explored the dark side of our psyche. 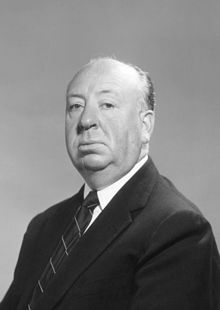 Alfred Hitchcock was a master of storytelling with the art of film. This series of blogs, which will be held over the next several months, will take the master's film techniques and see how they can be applied to our shared art of writing (even if you don't write mystery, suspense, or horror). While preparing for this series, I have seen some posted articles and comments that too much has been read into what Hitchcock--reading meaning into something that had no meaning. I couldn't disagree more. Hitchcock controlled his films too much, not giving the film editors much of a choice when it came to cutting shots or the choice of the camera view. In fact, to quote him, "The writer and I plan out the entire script down to the smallest detail, and when we're finished all that's left to do is to shoot the film." The Writers' Lens would like our readers to comment often and have a hand in the exploration of the Hitchcockian style and how it might help in all of our writing. For those who read this blog who are not writers, it is our hope to bring into focus how Hitchcock's techniques are used today in what you read and watch on TV or in the movies. This week, we are having a conversation with Heather Huffman's latest: Ring of Fire. 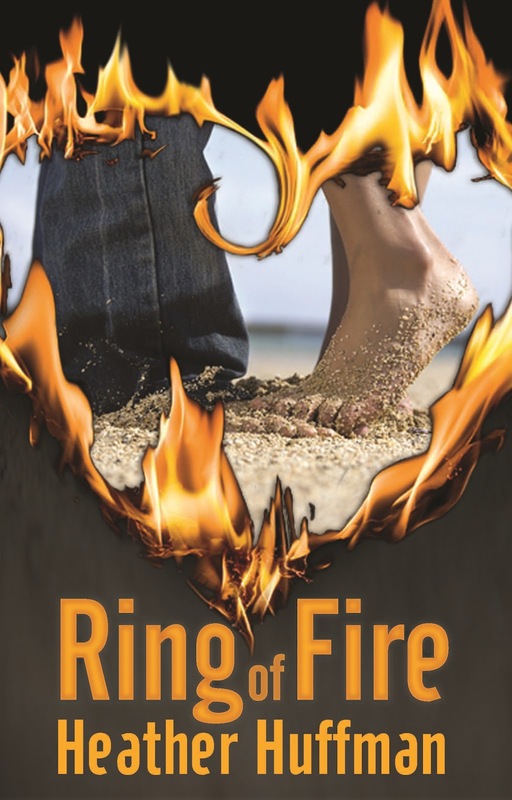 Writer's Lens: Your latest novel, Ring of Fire, was recently released. What was the idea behind this novel? Heather Huffman: That novel began when I dreamt about a woman rescuing a princess. I spent several days thinking about those characters, wondering who they were and why they came together at that particular moment. When one piece of the puzzle came to me, I’d start researching it and that would lead to another. Eventually it led to Alexandra McAlister, a scientist on a remote Pacific Island researching alternative energy. When violet-gray diamonds are found at her jobsite, it turns her world upside down. Alexandra was passionate about using her talents to make the world a better place. She took the tools she’d been given to leave her mark on this world. That’s something I think we should all do. I love to write, and I hope to use that to, in some small way, make this world a better place. WL: What was the hardest part of writing Ring of Fire? HH: The research, without a doubt. Some days it felt like I could spend three hours on one paragraph just because I spent so many hours researching the science piece behind that paragraph. There were a lot of moving parts in that book – I wanted them to be as accurate as possible. WL: Why did you become a writer? When did you know that is what you wanted to do? 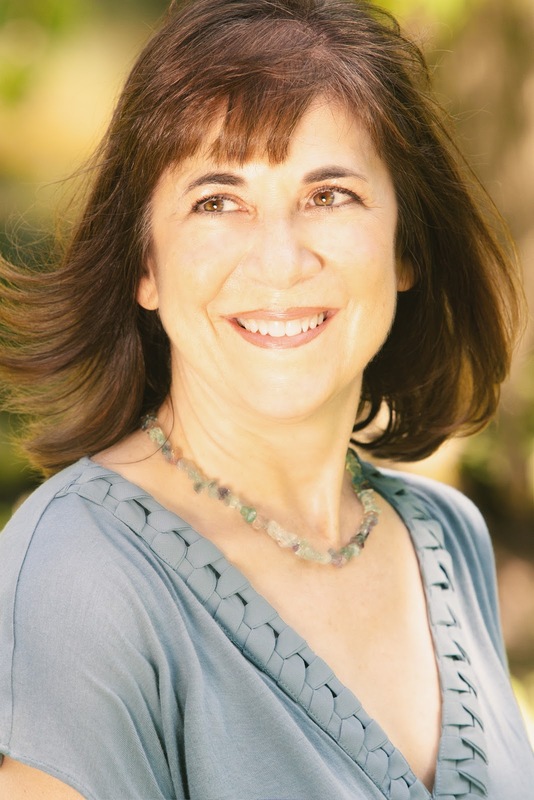 HH: I’ve always loved to write, but it wasn’t until I turned 31 that I looked around at my life and thought, “Well this isn’t what I thought it would be.” I figured I had two choices, trudge through the next 50 years or do something to fix it. So I started writing again, and I got serious about trying to get something published. I have to be honest—I never would have believed things would be where they are today, though. It’s still surreal. WL: What do you find to be the hardest part of writing for you in the writing process? HH: The murky middle! I always start off so enthusiastic for a project; the first few chapters fly by. Then somewhere in the middle, I begin to question how I’ll ever be able to finish the book. I’m certain I’ve painted myself into a corner, and there is no way I’ll be able to pull it off. Then, somehow, things will start to slide into place and I pick up the pace again. It’s the same every book! WL: What themes in your fiction writing seem to drive you the most? HH: Nobody is a throwaway. Everyone’s life has a purpose. It’s never too late to make a change. There’s always hope. Those are themes that run throughout all of my novels – the characters may vary, but there stories intertwine, and there’s definitely a common thread to them. HH: I first stuck my toe in the water while still working in Corporate America. I joined the St. Louis Writer’s Guild, worked hard to better my craft, attended conferences to network and learn, mastered my pitch – the works. When I first started getting rejection letters, I took the feedback from the agents and went back and re-worked my manuscripts, tried to learn from them to be a better writer. When an agent looked me in the eye and said “You write beautifully, but I don’t think there’s a market for your type of book – it doesn’t fit well into any one genre,” and that feedback was consistent with the letters I was getting, I decided to go indie and release the four I’d completed as e-books. The novels did very well on Smashwords; it was extremely gratifying to be able to interact with readers who enjoyed my style of writing. I started hearing from people all over the world – it was thrilling. Then my son was in an accident last year – he’s fine now, but he needed a lot of rehabilitation to get that way. I made the decision to leave my job to be with him. One month after I left, the impossible happened: a small publisher out of Seattle called me and said they were interested in my books. I’ve been with Booktrope ever since, and it was one of the best decisions I’ve made! What was your biggest fear when you decided to first be published as a novelist or poet? Do you still have those fears with each new work or are there other fears that come up? It used to crush me if someone didn’t like my writing. I was terrified to share them, which makes submitting to agents particularly brutal. At some point during the agent process, I grew a thicker skin. I stopped taking it personally and started examining what I could do with the information they were giving me. Some reviews still sting, but at least I’m now confident enough in the fact that I wrote the best book I could, and that’s really all I can do. Still, it’s always a little nerve-wracking when a new book is released! HH: Elizabeth Gaskell – I love her books and what she stood for. Like me, she often used her novels as a way to make people aware of social injustice. I think we’d have been friends if we hadn’t been born 150 years apart or so. Christopher Moore –he makes me laugh, although my husband says he thinks we’d drive each other crazy because we’re so fundamentally different. David – I’ve always felt a connection to David (as in the kid who fought Goliath and went on to be king of Israel). He wrote many of the Psalms, and it’s always his words I go back to when I’m struggling. There’s so much in his conversations with God that I can relate to. Charlotte Bronte – my niece would never forgive me if I didn’t include her in the list (and invite said niece along)! WL: Who was the most influential person or persons in your writing career? HH: That’s really hard for me to answer – I don’t think there is any one person I can point to. So many people have contributed to who I am, and that’s what influences me as a writer. WL: If there was one piece of advice that you could give to any fellow writer, what would it be? HH: Learn from your rejections, but don’t let them slow you down. WL: What advice would you give a fellow writer about pitching a story either face to face or in a query letter? HH: Breathe. The one pitch I did face to face, I totally blew. I speak in public all the time, but I still got stupidly nervous when I was sitting across the table from my dream agent. I’d wrongly given her too much power, though. I had it stuck in my head that if she turned me down, my dreams would be shattered. In reality, her turning me down put me on the path to my dream publisher. So just do your best and trust that, whatever the outcome of the pitch, it’ll be okay in the end. HH: My website is www.heatherhuffman.net. While on my website, be sure to check out the event calendar – there’s always something going on! I’m also active on Facebook (www.facebook.com/heatherhuffmanbooks), Twitter (@heathers_mark) and Pinterest (Heather Huffman). How do you win a free signed copy of this novel? To enter the contest, simply leave a comment or question on the Writers'Lens blog between now (March 19th) and midnight March 24, 2012. Please include your email so we can reach you if you win. The more comments you leave, the greater your chance of winning the contest. If you refer others to The Writer's Lens who mention your name in their comments, I'll enter your name again in our random number generator along with theirs, also increasing your chances at winning! The winner will be chosen after midnight on Saturday, March 24 and the announcement made on Sunday, March 25, Good luck and comment often. Good luck! 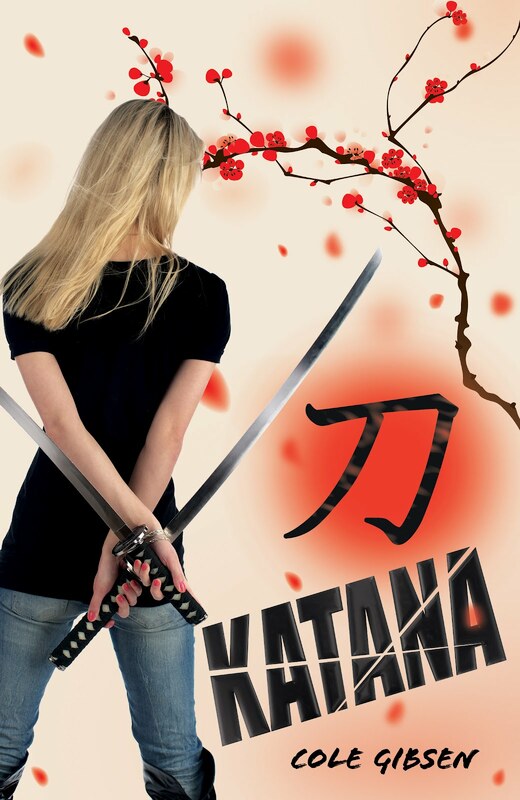 KATANA: A young adult novel. 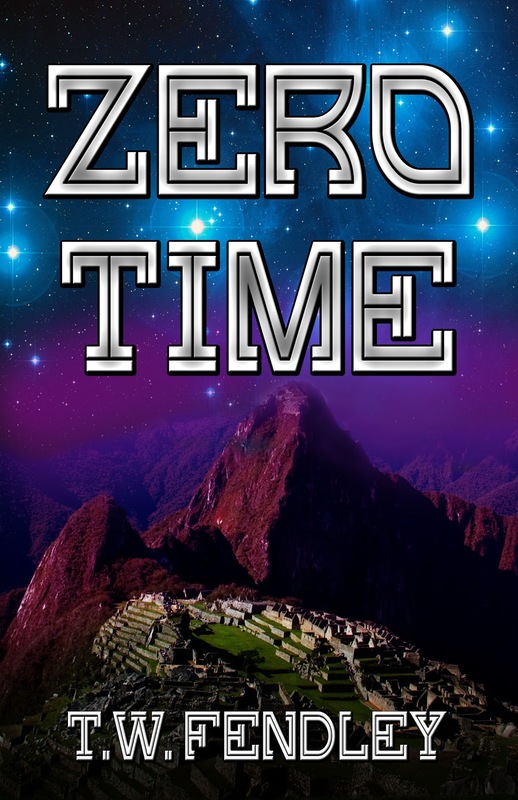 ZERO TIME: As Zero Time nears, only Keihla Benton can save two worlds from the powers of Darkness. But first she must unlock the secrets of Machu Picchu and her own past.